Has your electric bill been steadily rising and you just don’t know why? Or maybe, your home is older, and the windows are nearly antique – they are quaint, and you love them – but you know they are not energy efficient and need replacing. If these scenarios fit your situation, it may be time to replace your outdated and inefficient windows. Now it’s time to choose a window contractor, and you don’t know where to start. Here are a few sound principles to consider when choosing replacement windows and hiring a contractor. Longevity of a replacement window: It is no surprise that window lifespans vary from one manufacturer to the next. Variations in the quality of glass and the framing system play a significant role in the durability and longevity of the window. Replacement Frequency: A frequently asked question is how often will a homeowner need to replace the windows of their homes. Ideally, replacement windows should only be a one-time investment. Many windows are manufactured to last 10 – 20 years. On one end of the spectrum, Lower end windows may last less than 5 years – on the higher end, a window can last well beyond 20 years. Choosing Frames: There are a wide variety of window frames from which to choose. From wood frames through hollow vinyl, each frame offers unique features to be considered. Wood frames: Some homeowners opt for wood frame windows due to the look. The downside of selecting wood frames for your home is the upkeep (painting, staining etc). Another concern with wood frames is that wood can rot, warp or shrink. Treated wood may better withstand the elements. Be aware that some wood treatments may contain toxic chemicals. Lastly, wood frames tend to be much more expensive than other frame options and can quickly add up to be a very expensive project for your home. All-vinyl hollow frames: There are some advantages to the hollow frame window such as architectural shapes; colors; energy efficiency; customization and price. The disadvantage of all-vinyl hollow frames is that they are not as strong or durable as other frame options. All-vinyl extruded windows: Extruded windows offer homeowners a choice of window frame that is energy efficient; offers a wide selection of colors; is low-maintenance; and is durable and strong. 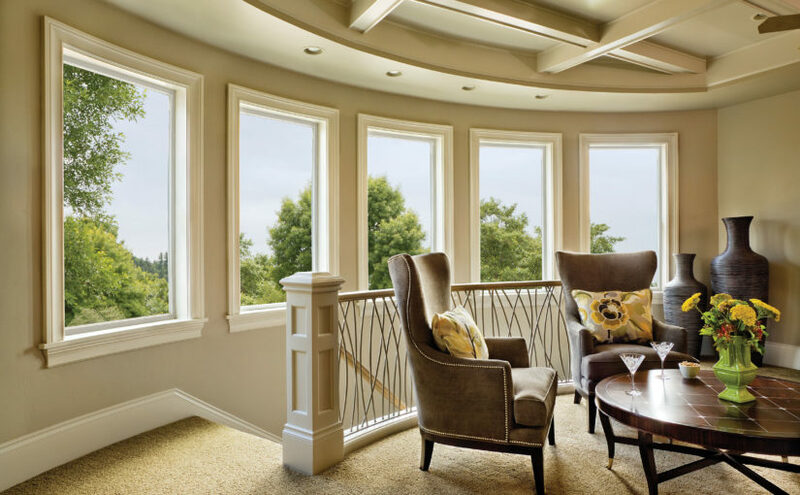 Home owners that are looking for a durable window that offers a number of choices at an affordable price should strongly consider all-vinyl extruded windows. How long has the contractor has been in business? Reputation – do your homework and know how the contractor you choose services their customers before, during and after the sale. Timeline – choose a contractor that can turn your replacement window project around in a timely and efficient manner. Bel Air Construction has been serving home-owners in the Baltimore Region for over 35 years. An award-winning home improvement company, we have launched the new division with the same leadership, quality and service which have satisfied thousands of our clients since 1981.